Since 1989, Foam Equipment & Consulting Co. has been providing equipment for the Expandable Polystyrene, or EPS packaging industry. Thanks to our superior product lines and comprehensive, courteous service, we’ve become a leading North American supplier of EPP molding equipment, EPS shape molding machines and foam recycling machines for the automotive and packaging industries. Why should you trust us? Our extensive knowledge when it comes to expandable foam molding means that we can help you find the right recycling and foam compactors for your business. 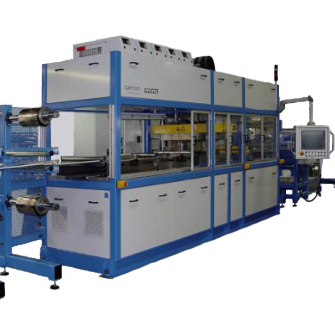 Foam Equipment & Consulting Co. represents several lines of Copolymer, EPE, EPP and EPS shape molding machines. We carry a complete line of EPS batch type pre-expanders, EPS/EPP grinders, EPS recycling equipment, filling injectors and other foam molding accessories from suppliers like EPRO, Nymphius and Teubert. 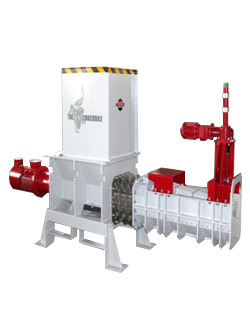 Foam Equipment offers the HEGER line of screw compactors for foam recycling operations. 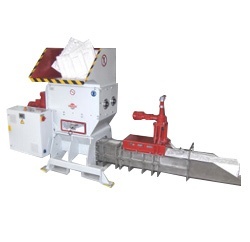 Our selection of HEGER foam recycling machines includes HEGER’s Tiger, Lion and Compression Line compacting systems. These compactors can remove foam materials from the waste stream so they can be recycled economically. 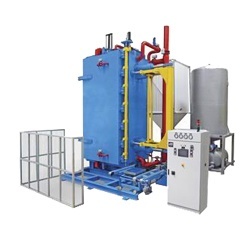 We’re proud to carry EPRO’s full line of high-quality block molding and EPS shape molding equipment, including vertical block molds, block handling equipment, cutting systems, scrap reclaiming (recycling) systems, silo rooms and pre-expanders. We can help design and equip your block-molding facility. 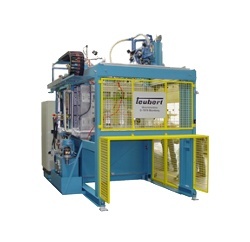 Since 1989, Foam Equipment & Consulting Co. has partnered with Teubert, a leading maker of custom machines for particle foams and fiber-reinforced thermoplastics. Teubert’s continuous compression molding equipment (CCM) is built in Germany according to client specifications and the highest quality standards. Teubert’s CCM system can be used to consolidate glass or fiber materials with thermoplastics. We’ve partnered up with HEGER to give our customers solutions for removing fluids and excess moisture from solids. With HEGER’s Crocodile screw dewatering technology, liquid content can be removed from industrial sludge, paper fiber and mixed waste containers so materials can be disposed of much more cost effectively in landfills or used in combustion systems. Learn more about our Crocodile options and find the right one for your operational needs. Sign up to receive the latest news about Foam Equipment & Consulting Co. and the foam equipment industry in general. Don’t worry. We won’t share your information with other companies or third-party sites.